Each Tuesday night through May 21st, professional instructors will lead calorie-burning classes, such as P90X, Turbo Kick, BollyX, Fire Up, INSANITY, Zumba, PiYo, HIGH, and more! Giveaways will be raffled off weekly. 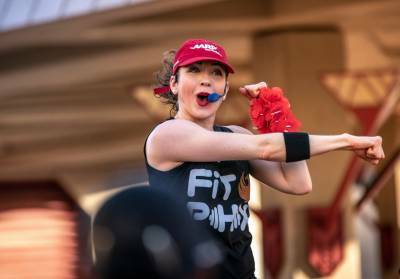 Fitness instructors lead workouts set to popular music while fitness motivators assist with moves and modifications as needed. 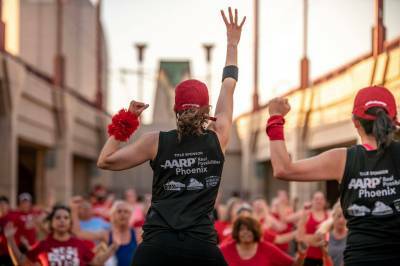 This event will engage the community with FREE energizing workouts and bring people together to support each other through fitness activities. The workouts are fun, FREE, interactive, and get people moving. 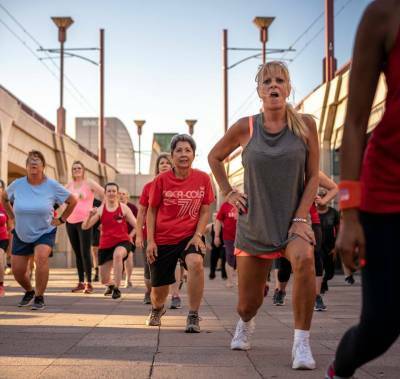 Created in 2013, the FitPHX initiative is led by Mayor Greg Stanton, Councilman Daniel Valenzuela and Olympic Gold Medalist Misty Hyman, with the goal of improving health and wellness in the region and making the Phoenix area one of the healthiest in the nation. The initiative has created innovative collaborations between government, private sector, non-profits and universities to develop programming that gives citizens tools and education to be healthier. For additional pictures and videos from previous events, check this out!